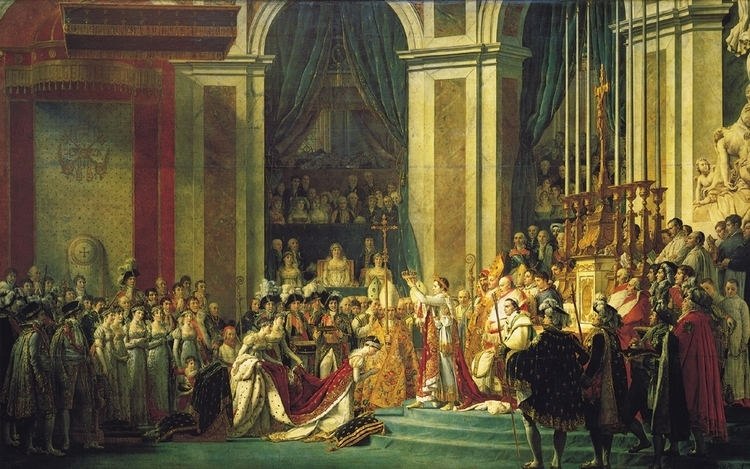 The painter Jacques-Louis David took some liberties in immortalizing the event of the Coronation of Napoleon. It is said that a bribe would get you a good spot in the painting and Napoleon's mother was not even present at the Coronation -- Napoleon desired that she be painted in. 57. Jacques-Louis David -- the artist who painted this.